5 YRS Xiamen Friendship Bridge Import & Export Trade Co., Ltd.
4 YRS Guangzhou Songtao Artificial Tree Co., Ltd.
we has our own factory,company and shop 2. What certificate do you have9 A: We have ISO9001 3. What material will be use for your product9 A: Our products is in filbergrass. etc 4. Where is your factory9 Can i visit there9 A: Our factory is located in Guangzhou. All our clients are welcome to visit our 5. Can you do OEM or ODM9 A: Yes. 4 YRS Foshan Longsun Import And Export Business Co., Ltd.
4 YRS Sunwing Industries Ltd.
6 YRS Guangzhou Konda Import & Export Co., Ltd.
6 YRS Guangzhou Qihao Artificial Flower Co., Ltd.
12 YRS Sunwing International Co., Ltd.
1 YRS Foshan JingChen Technology Co., Ltd.
6 YRS Dongguan Yafei Artificial Plants Co., Ltd.
5 YRS Dongguan Hengxiang Artificial Plants Co., Ltd.
4 YRS Guangzhou Susan Landscape Artificial Plants Co., Ltd.
Our business covers production and sales of artificial plants , and integrates the manufacture with installation of artificial plant walls in large size. We target at refined products and considerate service for we are majoring at the high-grade markets. So the outdoor tree inside structure has the galvanized pipe and steel bar, the strong inside structure can support the tree meet any natural factor. 5 YRS Zhangzhou Nohenplants Import&export Co., Ltd.
2:PROFESSION:We have more than 10 years in exporting china plants including lucky bamboo,cactus ,pachira ,ficus microcarpa Sansevieriaetc all kinds of china plants and bonsai according to exporting quarantine standard. 4:PRICE CONTROL:We try best to save plants cost according all kind of preparing plants and good packing way and reduce our profit for long time cooperation. 5:SUPPORT:It is very normaly that some plants and bonsai will damage during long time staying in container,we will try best to add some free plants in next container to support if plants damaged because of our quality problem. 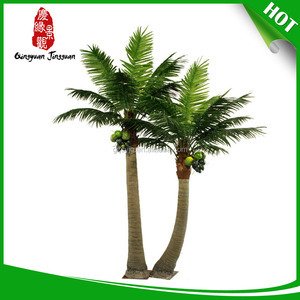 10 YRS Guangzhou Songtao Artificial Tree Co., Ltd.
11 YRS Beijing Palm Technique Development Co., Ltd.
2 YRS Guangdong Shengyuan Craft And Technology Co., Ltd.
Name Handscape Handmade Roystonea Regia palm tree artificial outdoor plant Material UV fabric leaves, fiberglass trunk Features 1) high simulation, looks, touches like real tree, mould after nature tree 2) good material made, no toxic gas sending, environmentally friendly 3) long life&gt;5 years (outdoor), no worry about color fade 4) tree for outdoor use 5) customized size (between 10ft~100ft) 6) low price, high quality Occasion plaza, hotel, restaurant, airport, garden decoration,outdoor Product photo Production Flow Q: Are you trading company or manufacturer 9 A: We are manufacturer . Q: How long is your delivery time9 A: 25-35 days for production, it is according to quantity. Q: Can you do trade assurance9 A: Yes,we provide trade assurance service. 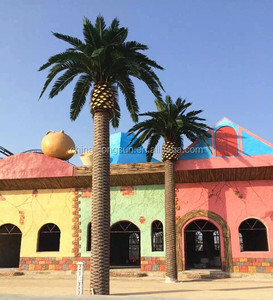 2 YRS Guangzhou Konda Import & Export Co., Ltd.
1 YRS Dongguan Senqi Arts & Crafts Co., Ltd.
11 YRS Shenzhen Life Arts Technology Co., Ltd.
2 YRS Dongguan Hengxiang Artificial Plants Co., Ltd.
Outdoor/indoor palm tree artificial ornamental palm bark Company name Dongguan Hengxiang Artificial Plant Co. 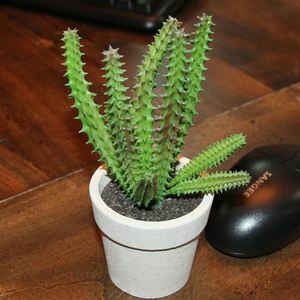 Contact us Company: Dongguan Hengxiang Artificial Plant Co. Hengxiang, your best business partner for Artificial Plants. 1. Don't be affected by natural environment, suitable in most place of global. 2. Easy to control, no need to watering, weeding, just wipe once a while. We will try our best to reach the acme of perfection and ensure the stable quality and punctual lead time. 8 YRS Sunwing Industries Ltd. 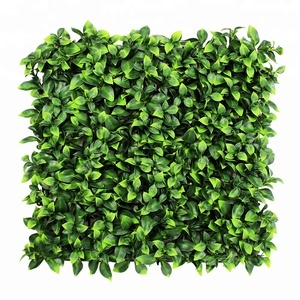 Outdoor artificial hedges are available in standard sizes or can be custom made to almost and size or shape. artificial grass fence can add appeal and convenience to any home, business or commercial establishment. We also custom fabricate the planters these faux hedges can be bolted to for a complete and finished look (optional and at addtional cost). 5 YRS Zhengzhou Fenglin Crafts Co., Ltd.
We have a large showroom in our factory that has been constructed to show our silk plants and trees as they would be used in applications. What is your lead time9 Our manufactured products traditionally take 2 to 6 weeks to produce depending on the quantity and size of the order. 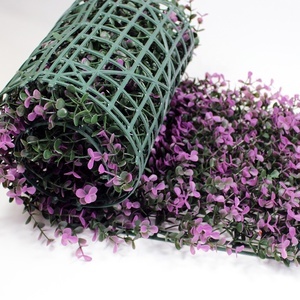 We are happy to provide you with samples so that you can see first hand the quality of our products as well as evaluate the appropriateness of the plant variety for your project. 5 YRS Guangzhou Qihao Artificial Arts & Crafts Co., Ltd.
4 YRS Dongguan ZC Artificial Crafts Co., Ltd.
6 YRS Dongguan Este Industry Co., Ltd.
9 YRS Shenzhen Shenlin Plastic Products Co., Ltd.
3. Long term lasting quality more than 10 years. Using Outdoor decoration: Star hotels, beach, resturant and airport ect. All of the goods could be deliveried in time. 8 YRS Shanghai Yongzhou Haihong Arts&Crafts Co., Ltd.
7 YRS Guangzhou Guangxin Communication Equipment Co., Ltd.
1 YRS BOTANY (Dongguan) Artificial Plants Co., Ltd.
1 YRS Shenzhen NatureEasy Crafts Design Co., Ltd.
1 YRS Guangzhou Chicostar Technology Co., Ltd.
1 YRS Shenzhen MZY E-Commerce Co., Ltd.
3 YRS Dongguan Guansee Artificial Landscape Co., Ltd.
Alibaba.com offers 4,018 outdoor palm plants products. About 68% of these are artificial plant, 14% are aquatic plants, and 7% are decorative flowers & wreaths. 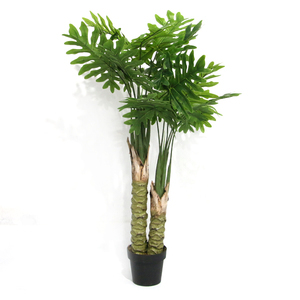 A wide variety of outdoor palm plants options are available to you, such as tropics, subtropics, and glacial. You can also choose from large, mini, and medium. 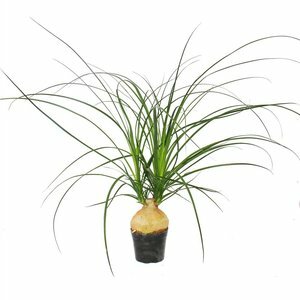 As well as from woody plants, aquatic plants, and foliage plants. And whether outdoor palm plants is perennial, annual, or biennial. 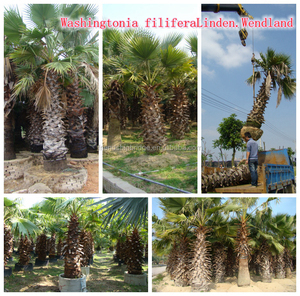 There are 4,018 outdoor palm plants suppliers, mainly located in Asia. The top supplying country is China (Mainland), which supply 100% of outdoor palm plants respectively. 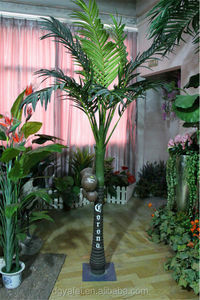 Outdoor palm plants products are most popular in Domestic Market, Mid East, and Western Europe. You can ensure product safety by selecting from certified suppliers, including 200 with ISO9001, 188 with Other, and 10 with BSCI certification.